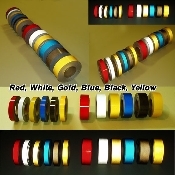 Effectively increase your night time visibility with our 2" x 150' rolls of type 1 flexible engineer grade reflective tape. The 2" width is excellent for marking loading dock areas, snow poles, bollards, floors, poles, gates, fire hydrants, boats, non DOT regulated trailers, dumpsters, fences, fire trucks, ambulances, vehicles, and much more. Our ASTM D4956 Type 1 Engineer Grade Reflective tape exceeds all federal and state requirements and is outdoor rated at 7 years. 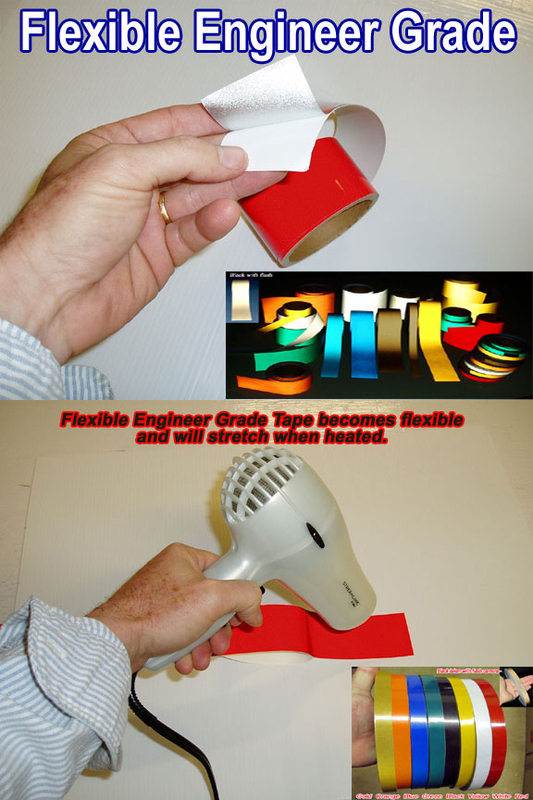 To apply our Flexible Engineer Grade Tape simply cut off the amount of material you need, peel the paper backing off the tape and apply to a smooth, clean surface. Available in Red, Black, Blue, Yellow, Orange, Gold, Green and White. $79.99 per roll. 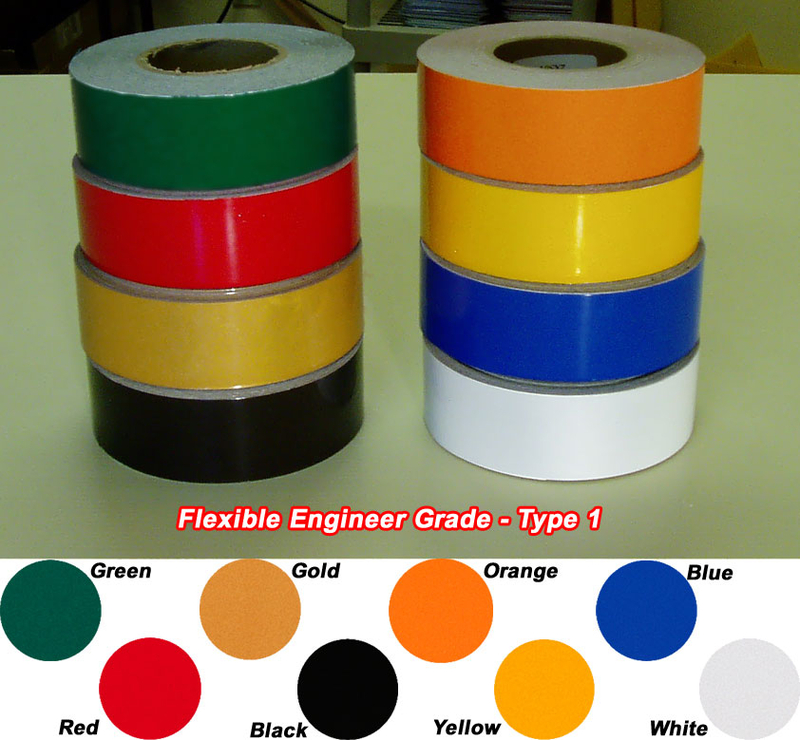 These are Type 1 flexible engineer grade rolls in 30 foot lengths. This material is designed for emergency vehicle graphics but can be used for any purpose. When heated it will stretch and conform to an uneven surface or to compound curves. When the ambient temperature is below 78 degrees it performs just like standard engineer grade. Rolls run $34.99 each. You can choose your color below using the drop down menu.